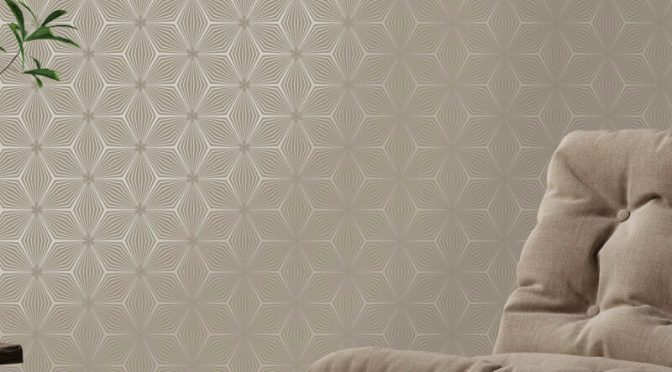 Holden Decor Sparkle Star Metallic Wallpaper is a great way to add a glamorous touch to any room. Firstly, this eye-catching wallpaper is part of the stylish Reflect Wallpaper Collection by Holden Decor. It is sure to make a welcome addition to any room. The wallpaper features a geometric inspired star design. Furthermore, it is brought to life in a wonderful taupe and metallic gold colour scheme. Finally, the Holden Décor Sparkle Star Taupe/Gold Metallic Wallpaper is the perfect choice for updating a living room or dining room. It will become more glamorous with gold accessories.